Happy hump day, everyone! You're halfway through the work week... celebrate!!! 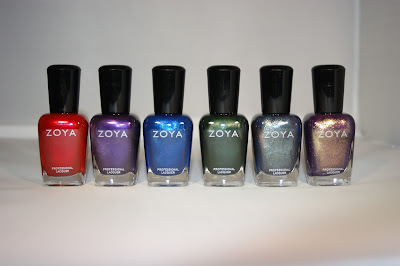 Today, I'm going to show you the Zoya Diva Collection, the last of the three fall collections and honestly, my favorite. The other two fall sets are the Designer and Gloss collections. So without further adieu, let's take a look! First up is Daul, an amethyst polish with gold foil glitter. I LOVED how rich and dimensional this shade looked on my nails. I think this one is great with any skin tone. I used three coats to ensure maximum opacity. When the collection was first released, I think everyone wondered if this was a dupe for Zoya Faye, or at least a close relative a la Tart and Tallulah. The index and middle fingers have three coats of Daul and the ring and pinky fingers have three coats of Faye. As you can see, the difference is STARK. Faye has much more of a rose-tone, though the gold glitter is admittedly the same. That doesn't make much of a difference in terms of similarity... both are gorgeous. 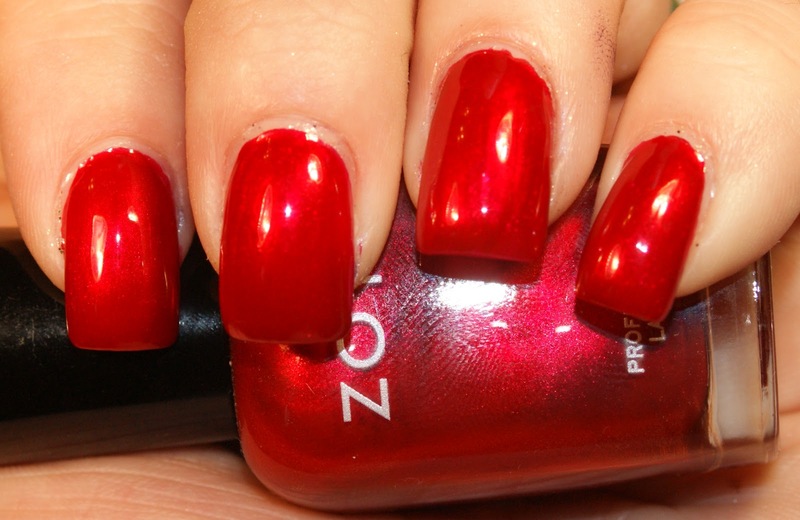 Elisa is a tomato red metallic shade with a gorgeous luster. This is without any top coat and it absolutely shines. It's really a tie between this and Rekha for my favorite true red of all time. Don't make me choose! Fei Fei is a very unique shade of nail polish. It has a sort of bruise-like blue-purple base with blue and gold foil glitter mixed in. It's really unique and very pretty, for sure. I think this is the most unique of the collection. This was three coats, just to make sure its vibrancy and opacity were top notch. Suri (yes, like Suri Cruise) is a drop dead gorgeous grape polish with blue shimmer. This was two coats of awesomeness! Above, you can see the blue flash of Suri much better. I wore this one for a week. Ray is a forest green with hints of frost and shimmer mixed in. It's actually quite different from any other greens I own and I own quite a few. I think it's that combo that real does it. 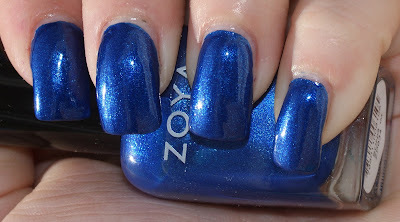 Last, but certainly not least, is Song, a royal blue foil polish. I DEFINITELY do not own anything like this. DYING for it! I also wore this one for a while and you may remember it from my Five Shades of TARDIS mani on Saturday. Look at that pop! This was with two coats of polish. BUT I used two coats of base underneath, just to make removal easier. I honestly have bad luck with blues and staining, so this was a precaution. But I'd rather not know if a polish stains than know if it does. So there you have it... the Diva Collection. I LOVED them all, even Ray and Fei Fei were stellar. I didn't originally think I'd like either. But I loved them all and have worn them all to law school already. The application, per usual, was stellar. I only used three coats for the glitters to be safe. What ones were your favorite? 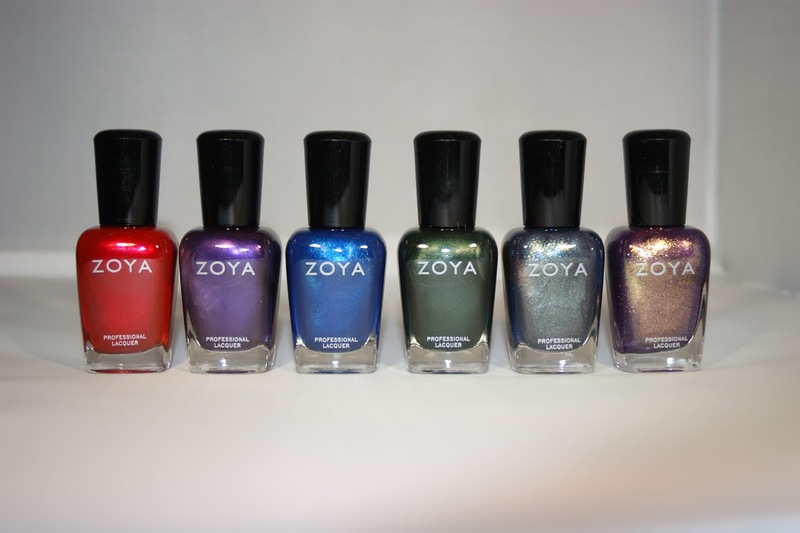 The Zoya Diva Collection, along with all other Zoya polishes, are available at Zoya.com for $8.